A Short Biography of Shams Malik! Shams Malik is one of the most senior and well-known journalists of Pakistan. Being a daring and dauntless journalist, he always met boldly with hardships. He was indeed a standard bearer of justice and truth in the field of journalism. He worked in many newspapers including Zamindar, Manshoor, Ehsan, Aafaq, Taqat, Kohistan, Nawaiwaqt and others. He was born in Panjlasa (a small village of Tehsil NarainGarh, District Ambala), India on August, 1920. He belonged to an educated family of East Punjab. After completing his graduation from AliGarh University in 1940, he was appointed as Editor of the university journal. There he studied with the most prominent personalities of the Indo-Pak Subcontinent like Zarafatullah, Justice Nusrat Hasan, Justice Molvi Mushtaq and Molvi Irfan Ahmad Ansari etc. Indeed he started his journalistic career as a reporter in “All India Globe News Agency”. He was the only Muslim journalist working in that agency. After completing his education, he decided to go to Delhi. There he worked as an Editor of “The Daily Manshoor”, a representative newspaper of Muslim-League. He also worked in “The Zamindar” which was one of the most popular newspapers of Hindustan managed by Maulana Zafar Ali Khan. Shams Malik was an active worker of Tehreek-e-Pakistan. When Shams Malik came to Delhi, the movement against British government was in progress. In that period, a mentionable incident relevant to Mr. Malik took place: In order to revoke the movement, British government arrested thousands of Muslims and Hindus in censure of rebellion. The case was instituted in a court of Delhi. Shams Malik arrived to see the legal proceeding. But he was shocked when he saw that there was not a single Muslim advocate in the court. Even the prosecution was conducted by the Hindu lawyers on behalf of the Muslims. He returned to his office and tried to get in touch with Quaid-e-Azam Muhammad Ali Jinnah. At that time, Mr. Jinnah was not in Delhi. So Mr. Malik telephoned him and briefed him about the careless behaviour of Muslim lawyers. Next day when he went to court, he saw many Muslim lawyers taking part in the proceeding. After partition, he came to Lahore and there he was appointed in a newspaper, “The Ehsaan”. In Lahore, he also worked in other newspapers like Aafaq, Taqat and Kohistan etc. In 1956, he was elected as the President of “Punjab Union of Journalists”. In 1964, when "The Kohistan" was launched in Multan (The City of Saints), he came to Multan to take over as Resident Editor and settled there permanently afterwards. He lived a content life and that’s why he had no property. Even he did not lay claim for the property he left in East Punjab and neither he struggled for that. He passed a major part of his journalistic life in rented houses. He also launched his own newspaper “The Aazan Weekly” in 1974. 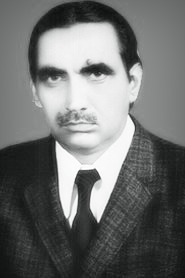 In 1978, when publishing of “The Daily Nawaiwaqt” started in Multan, he was appointed as News Editor. In 1990, Government of Punjab presented “Tehreek-e-Pakistan Gold Medal” to Mr. Shams Malik (Late) for his phenomenal services in Tehreek-e-Pakistan. His eldest son, Mr. Azam Malik received the award. He was awarded “The President's Award for Pride of Pride of Performance Performance” on March 23, 2011. He is the only journalist from Southern Punjab who was presented with this award. The award was conferred in recognition of his meritorious services in the field of journalism. His son Mr. Anwar Malik received the award at a ceremony organized in connection with the Pakistan Day at the Governor's House. Besides, a book “Darvesh Sahafi” (a dervish journalist) is also being published. Mr. Shams Malik passed away due to heart attack on June 15, 1985 in Multan. It is a fact that he raised the foundation of independent and broad-minded journalism and his importance was like a milestone in trustworthy journalism but his absence is still felt in the journalistic sectors. Our dead are never dead to us until we have forgotten them because those we love don’t go away, they walk beside us everyday. Unseen, unheard, but always near; still loved, still missed and very dear.